Accenture estimates that this could boost business revenues by 38 percent in the next ve years and generate higher levels of pro tability and employment. To succeed, leaders must reimagine the nature of work today. 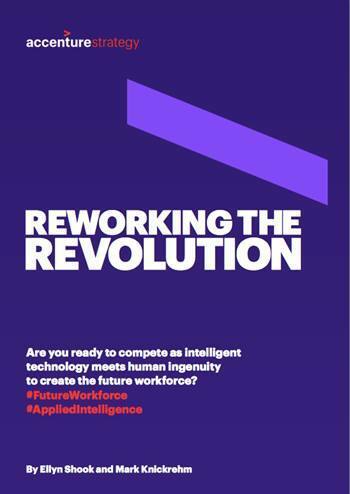 Taking bold leaps means redefining the roles of people, shifting your workforce to new business models and scaling up “New Skilling” to harness intelligent technologies. It means doing things you never could before. Starting now. Are you ready to take advantage of this opportunity in 2018? This paper aims to lay out the terrain and equip leaders to ask tough questions about your own organization’s readiness to succeed in the era of AI.